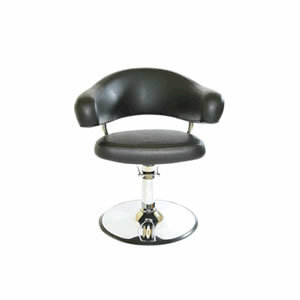 Direct Salon Supplies Milano Lux hydraulic styling chair. 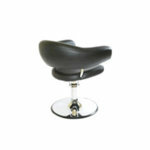 Large and comfy hydraulic styling chair in black only. 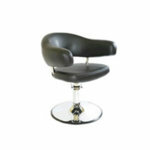 On round base with 5 year hydraulic warranty. 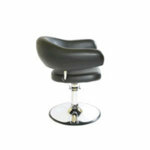 Sizes: seat Width 20", seat Depth 19", total chair Width 29 ½", seat to the top of back 15", total back to front seat Edge 25".